BRISTOL SHOW 2012: £10,000 worth of kit up for grabs! | What Hi-Fi? BRISTOL SHOW 2012: £10,000 worth of kit up for grabs! 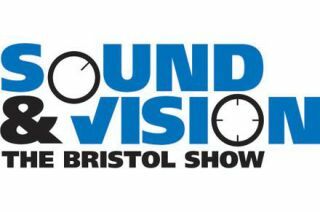 Are you coming to the Bristol Sound & Vision Show this weekend? Then don't forget to visit the What Hi-Fi? Sound and Vision stand, where we've got an eye-watering £10k of kit up for grabs in our sensational show competition. And that's not all! You can also win a pair of Sennheiser HD598 luxury headphones, or a Pure Sensia DAB internet radio – each worth £200 – by just liking the Bristol Show Facebook page. Ot how about winning a £350 Arcam rCube iPod dock in white? Just 'like' the Arcam page on Facebook. And don't forget, you can find out all about what's happening at the Bristol Show in our dedicated blog.